1700+ SF FINISHED LIVING SPACE HERE! 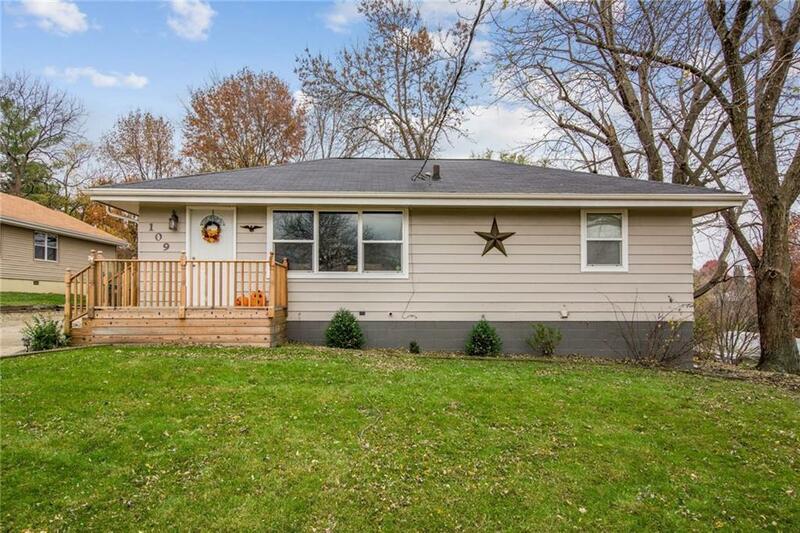 Do not miss this opportunity to own this like new 3 bedroom, 2 bath home with gorgeous refinished HARDWOOD floors, FIREPLACE and a 'FARM HOUSE' feel/style throughout. The roof, gutters, energy efficient furnace, AC, water heater and windows 5-6 years old. UPDATED kitchen includes all the appliances & french doors opening to the yard. Updated tile bathrooms; 1 w/garden tub to relax in. FINISHED LOWER LEVEL features; Approx 800 more SF- large family room with CUSTOM MADE BARN DOORS, bathroom, laundry, exercise & storage rooms. You'll love the privacy fenced backyard with patio space off kitchen, perfect area for entertaining, kids & pets to play in. Includes large shed. Plenty of parking in the large driveway & newer front/side cedar porches. This is a must see inside to appreciate what this home offers!